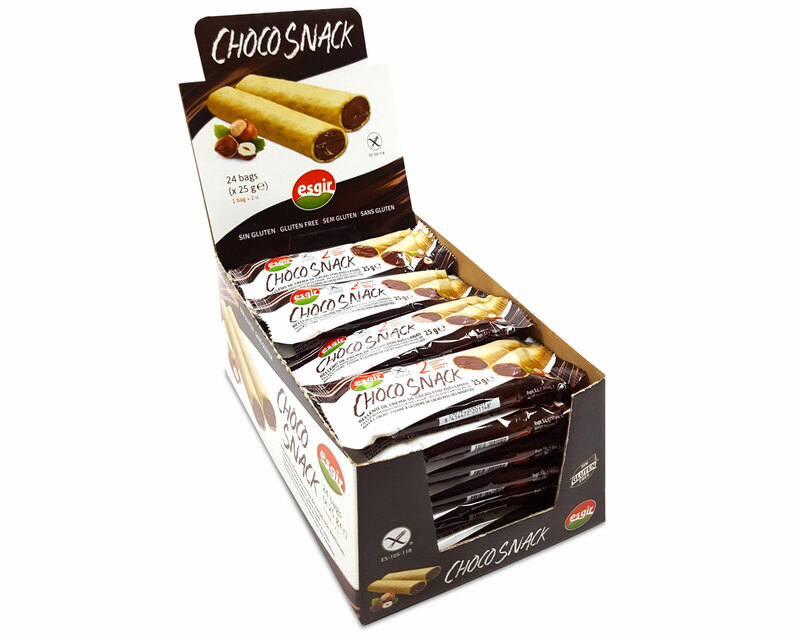 Delicious snack consisting in rice wafer filled with chocolate and hazelnut. 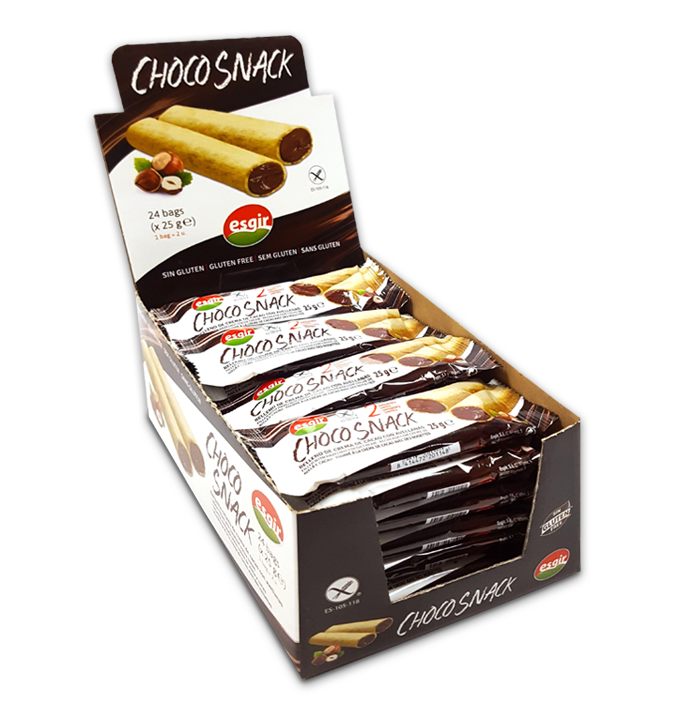 Presentation in individual format and multipack format with 3 units. 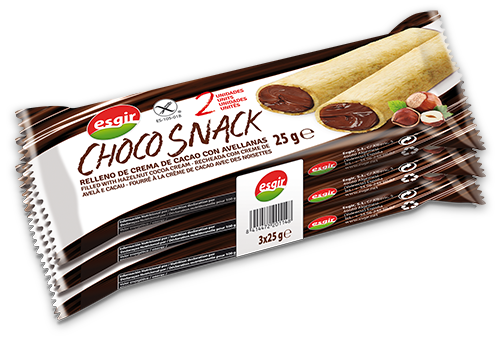 Ideal for anytime, breakfast, between meals, snacks…snack on ESGIR’s gluten-free Choco Snack.